While dogs are natural den animals, not every dog likes being placed in a crate or kennel. This can be frustrating when you have to leave for periods of time during the day and you want to ensure your pup stays safe. However, there are options for dogs who don’t like crates. It may be helpful to first ask why your dog doesn’t like their crate. Is it the right size? Can they move around comfortably? Is it clean? If the crate was previously used by another dog, this could create discomfort for your pet, as they will feel that space isn’t their own. Make sure the crate has been properly cleaned prior to introducing your dog to it. Never close the door or trap them in the first time, either. Furthermore, while it may not always be possible, try not to allow the crate to double as an area of punishment. If you have used this method in the past, this could be a big indicator as to why your dog doesn’t like their crate. It should be a safe place for your dog where they can go and not be bothered. There may also be a dog’s history to consider, as well. If you adopted your dog, they might have had bad experiences in the past. Try to be patient, and make sure to never force them into the crate when they don’t want to go. What Are Your Dog Crate Alternatives? 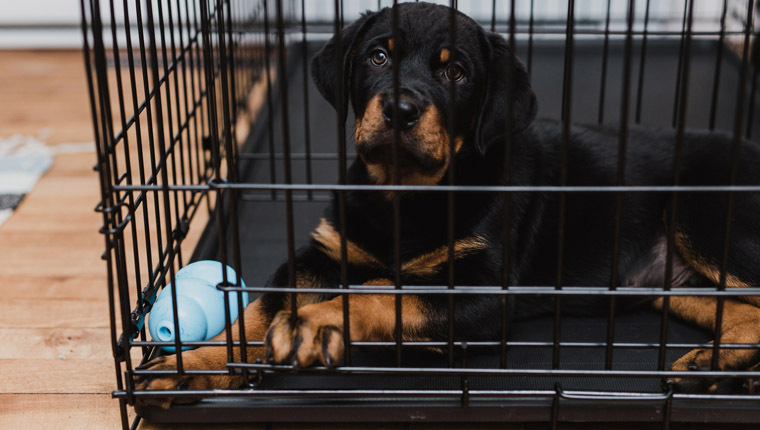 There are some alternatives that might work better if your dog has anxiety about crating. It may require trial and error to find one that makes your dog comfortable. 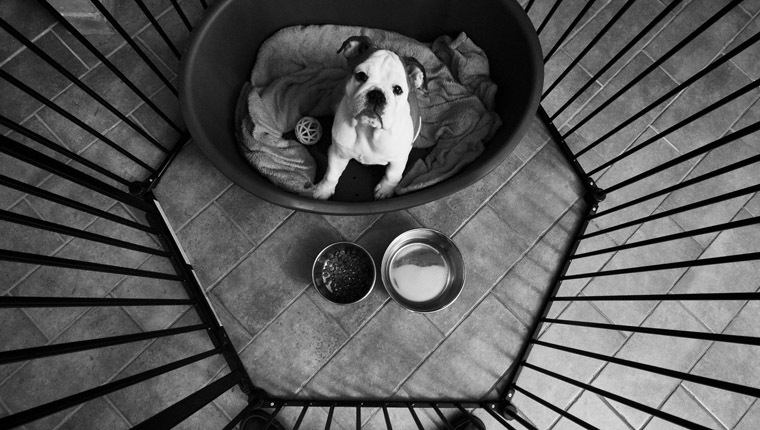 However, it’s important to keep your dog safe when you’re not home, so going without the crate or an alternative may not be the safest option. Here are some crate alternatives that could help keep your dog happy and safe while you’re away. Dog Gates: Fencing your dog into a certain area of the house might be the best bet for securing your pup. While not the most ideal situation, it does relegate them to a safely prepared room where they can be comfortable, but not feel as constricted. There are numerous options for dog gates, both freestanding and mounted, to ensure you get the best one for your dog’s needs. Playpen: If you have the indoor space for it, an actual playpen is another option. This will wall your dog in, but give them enough headroom to move and stretch freely. Be mindful of the height, however. If your dog can clear certain heights, you might find that the only thing you’ve given them is an obstacle. Daycare: Lastly, though more expensive, doggy daycare should be worth considering, as well. This is a great opportunity to socialize your dog while under the watchful eye of a professional. With all that extra playtime, you might also find that they’re pleasantly pooped by the time you’re both home. This means that both you and your canine companion can just relax instead of worrying about whether they have too much pent up energy. Do you have any other suggestions for crate alternatives for dogs? Let us know in the comments below!